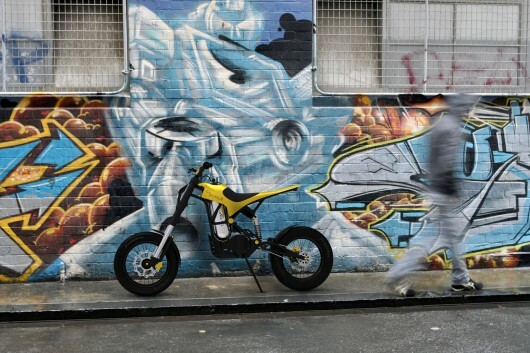 The smart Students majoring in industrial design, the Royal Melbourne Institute of Technology (RMIT), Dean Benstead, managed to make a breakthrough by creating a moving motorcycle using high pressure air force (compressed air). 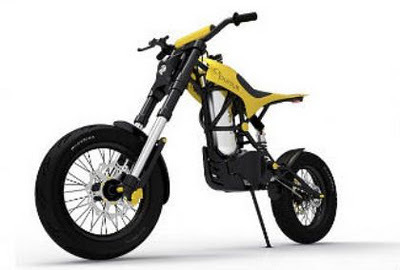 As reported Visordown, Thursday, November 3, 2011, motor-named '02 Pursuit 'is a figure of future motorcycle, which offers an alternative fuel instead of gasoline. "Motorcycle concept was originally created from scratch sketches into computer graphics. Then set up the chassis and body, produced with the help of a local factory Rinlatech Engineering," says Benstead. Motorcycle that has this motocross-based design, comes with slim body, a seat, and a single suspension in the rear. At the wheel, Benstead deliberate use of the model radius, combined with a bandage tire tread width. The result of this tiny motor looks very fierce. The basic ingredients are taken motocross bike 250 cc. While the driving gear from Yamaha WR240F, which is integrated with the engine air (Engineair) DiPietro. Benstead claiming the bike is capable of racing up to 100 km / hour. Benstead admitted making Pursuit '02 ', as inspired by his experiences as a child who likes to ride a mountain bike. "It required re-refinement, especially in terms of weight of the chassis. Maybe it would be lighter if using aluminum and titanium," he said. Finished working model he created with the help of a local company Rinlatech Engineering. Benstead’s bike intended primarily for motocross. 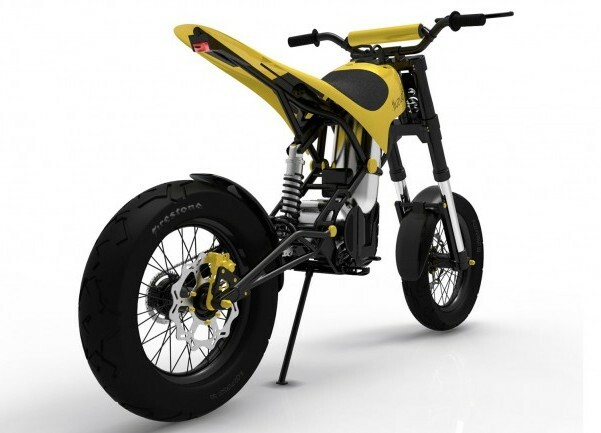 It is based on the geometry of the usual 250-bottoms motocross bike. Chassis taken from Yamaha WR250F. And as a propulsion engine using compressed air production Engineair DiPietro. Now the bike is being tested. The maximum to which it was possible to 100 km / h. Benstead sure that the machine is capable of more. “I’m ready to take the next prototype, which should surpass all the characteristics of the first” – he said. I had seen first time this bike in my life. Its looking fantastic. I like the concept of this bike very much. The design and shape of this bike is really amazing. I think the sitting position of this bike is very comfortable. I am too excited to take a ride of this bike.